Aquasonic is the name of a submerged opera, or rather a sound spectacle by the Danish group Between Music. Now running in Schiedam Holland in five underwater tanks in which the musicians and a singer (!) deliver a hallucinating sound composition. A dream world created by actors holding their breath, using special underwater microphones, amplifiers and instruments. Including a violin, a kind of Balinese Gamelan, and the Rotacorda: a transparent tube producing enchanting sounds when the player turns a little wheel. 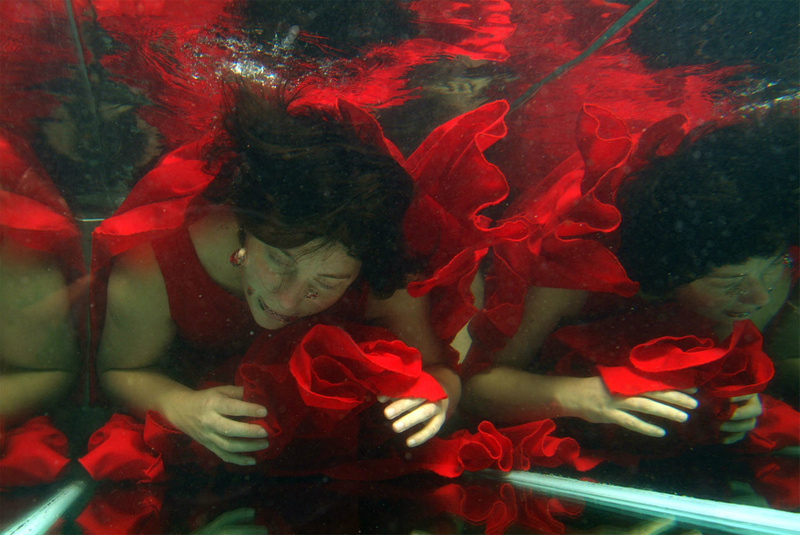 Most spectacular is the underwater singing by Laila Skovmand (see insert), one of the masterminds of the opera. Its done while she is breathing out, admittedly with some gurgling sounds of the bubbles leaving her mouth. Laila even sings a complete duet with Nana Bech playing the Rotacorda in another tank.